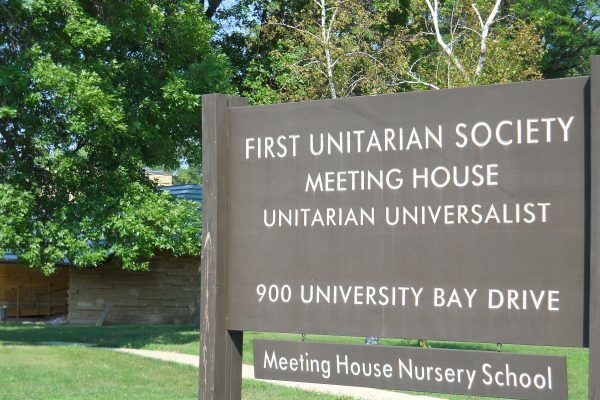 First Unitarian Society of Madison is comprised of people seeking a supportive environment with kindred spirits to accompany them on their spiritual and ethical journey. We come from many backgrounds. Some of us are refugees from the world of orthodox religion; others are looking for an alternative to the soulless consumerism that has become the dominant “religion” of our time; still others are parents, educators, or activists who have a vision of a better world. We agree there is no single, superior path but instead many possibilities. We have chosen to spend at least part of that journey together in community. 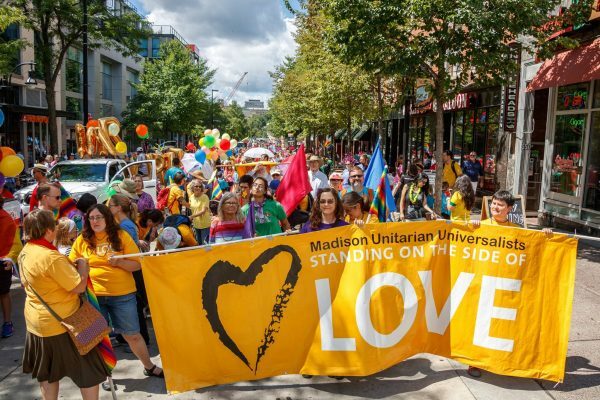 Unitarian Universalism has always taught that deeds matter more than creeds, and that the quality of our lives counts for more than the correctness of our beliefs. Our Bond of Union, Mission Statement, and the Principles and Sources of our National Association guide us in spiritual exploration that we trust will lead to greater insight and to informed ethical action.